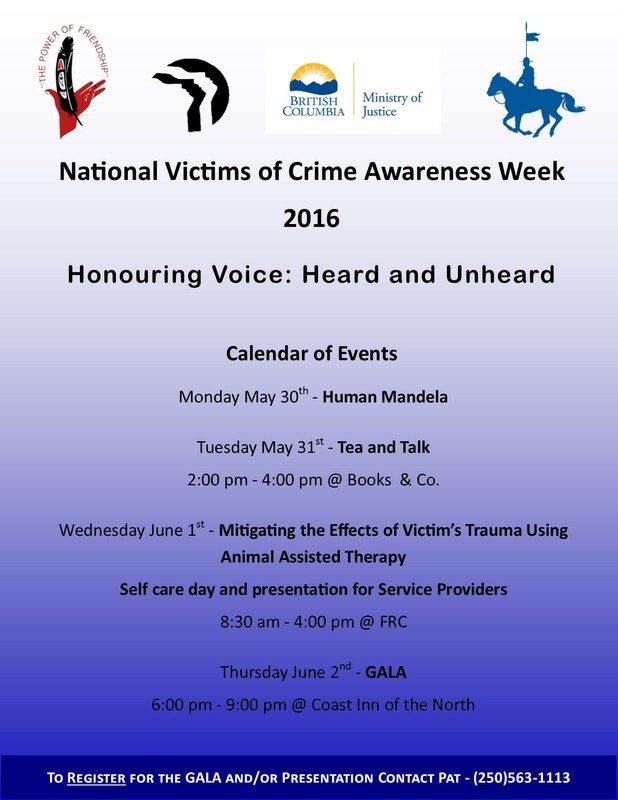 Join us as we Honour Voices: Heard and Unheard throughout Prince George at our 7th Annual Victims and Survivors of Crime Week, 2016. 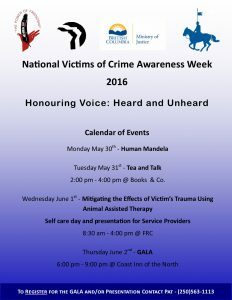 This annual event, hosted by RCMP Victim Services, the Prince George Native Friendship Centre, and Prince George Elizabeth Fry Society, celebrates survivors and raises awareness about crime. The community is invited to participate in a number of events. 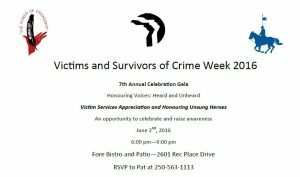 Each year we honour the unsung heroes in our community. Help us to recognize individuals, groups or businesses who work tirelessly to invoke positive change in our community. 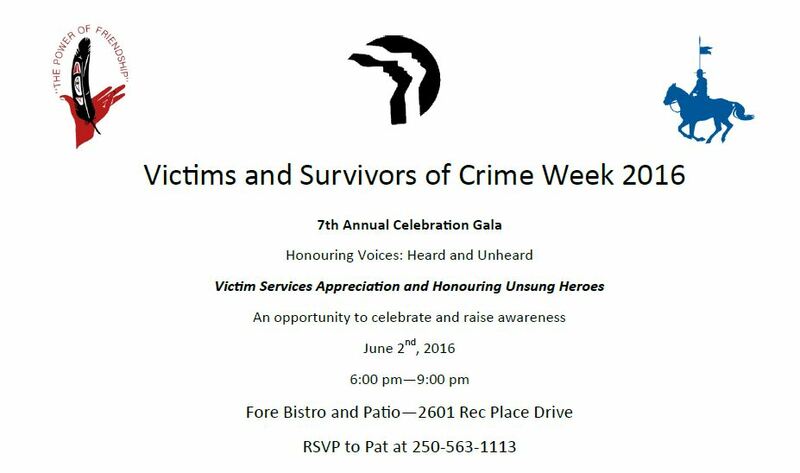 We look forward to honouring our “Unsung Heroes” at the Victims and Survivors of Crime Week Gala on June 2, 2016 at the Fore Bistro and Patio from 6:00 pm-9:00pm. Please remember that seating is limited, so reserve your spot for the Gala early!